Hello everyone! 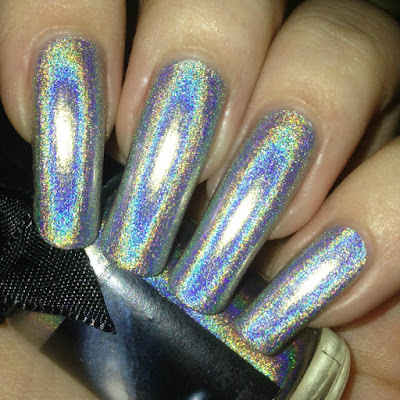 Today I have an amazing polish to show you - Esmaltes Da Kelly 'Andromeda' from the Nebula Ultra Holographic Collection. My mum got me this, 'Roseta', and 'Omega' for my birthday back in January. How it took me this long to get it on my nails is beyond me. 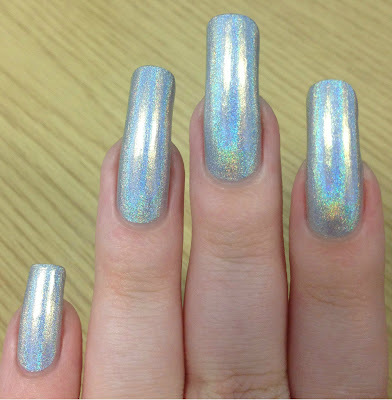 If you like holographic polishes, you absolutely need this. Read on for swatches and more info! 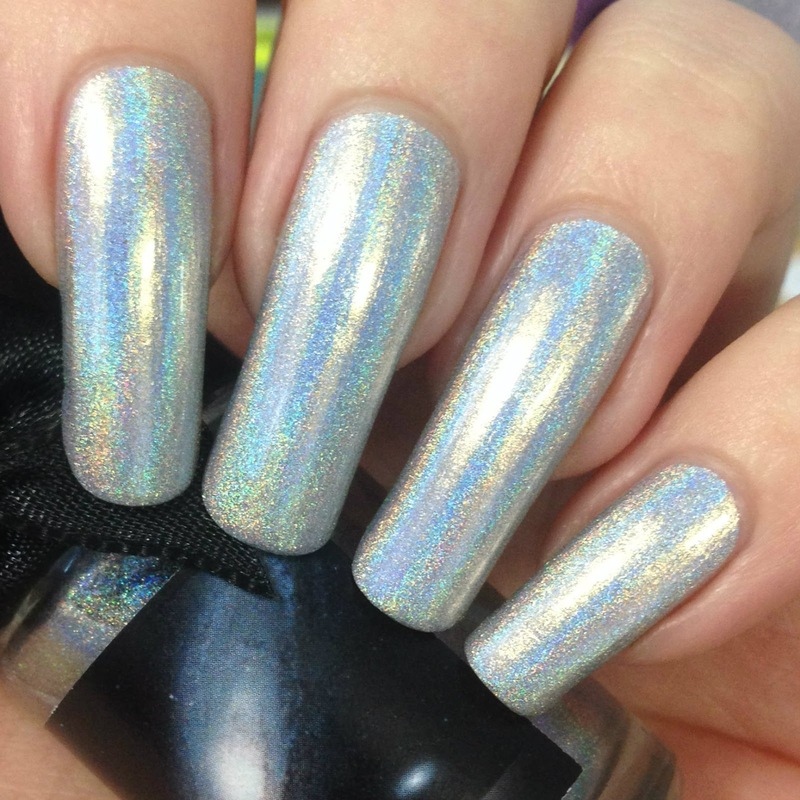 'Andromeda' is a bright silver holographic. The formula is amazing. It is smooth and easy to apply, and very opaque. I have heard this being called a one coater, but for my longer nails I did need two. It dries super smooth and shiny without dulling the holographic at all. Below is two coats and topcoat. The above pictures were taken in my office at work with the blinds closed. This polish looks holographic in literally every lighting. Below is a picture with the blinds open (more natural light), and then again with flash to show the full potential. What do you think? This is my new favourite polish, ever. It is hands down the most holographic polish I own - by a long shot. The other two I have from this collection have moved straight to the to the top of my swatch pile. 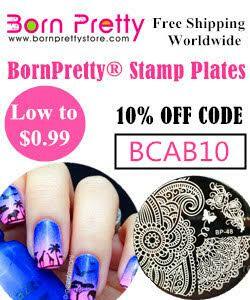 They are also all really good for stamping, so I'll have to give that a try soon! You can find Andromeda for £8.50 on Rainbow Connection (UK) here. I'm off to buy the rest of the collection! Wowza! That is one impressive holo effect!! Whoot whoot for January babies! I love super holographic shades like that. I am so envious of how good silver looks on you! I love a silver holographic like this. I could stare at it forever.